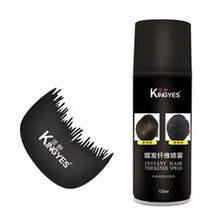 1、Short hair: Better operation, first comb the hair, wear earmuffs, fences and other protective devices.Then according to the direction of their own hands, the conditioned hair dye applied to the hair, repeated combing, to ensure uniform application.The parking time of dyeing paste is about 30 minutes. 2、Middle/Long Hair: If the longer hair is dyed by itself, it will be more troublesome. If someone helps, it's difficult to dye evenly. It's very likely to dye flowers. The biggest problem is that the arm can't stand acid.Operation method: Wear protective gear, divide the area, and then master the principle from bottom to top, from back to side. Apply the dye ointment to the hair that the hair root thinks is 1 centimeter. Make sure it is even. 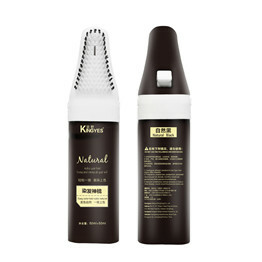 When the color of the hair is close to the target color, apply the position of the hair root 1 centimeter. 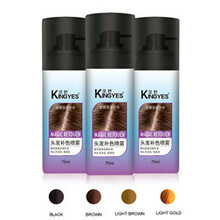 3、After dyeing, rinse the color with a lot of warm water, then use shampoo to focus on the scalp, and then use conditioner. Dry your hair with a towel and blow it dry with a hair dryer.